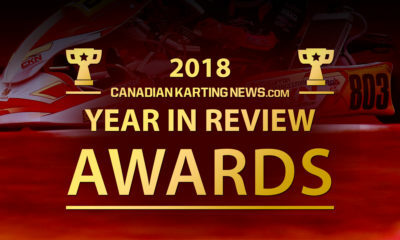 CRFKC Mosport Rok Report: Di Leo Wins in His Return; Shearer Tops Shifters – CKN | CanadianKartingNews.com | Because Karting is a way of Life! 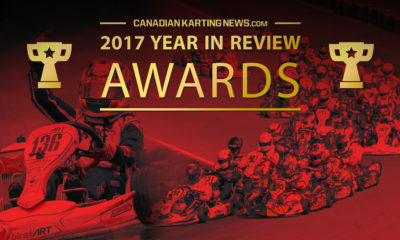 The Champion Ron Fellows Karting Challenge held round three of their 2018 championship on Canada Day at Mosport Kartways, host of the 2018 Canadian Karting Championships. 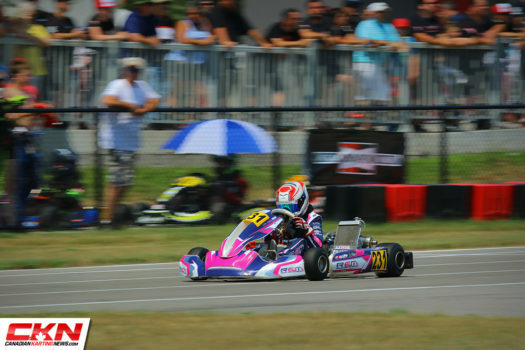 In the first of many major races at Mosport this summer, it was a scorcher as drivers faced temperatures well into the 30’s and very high humidity. The weather took a toll on the everyone in attendance at Mosport, with drivers being reminded throughout the day to stay hydrated. Here is our CRFKC Rok Cup report. In case you missed it, read the Briggs report here. Rok Cup Canada continues to grow in Ontario and the program welcomed Marco Di Leo back to the grid on Sunday. 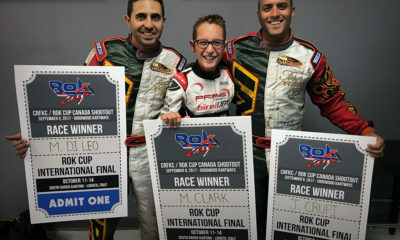 The winner of the CRFKC Rok Cup Canada shootout from a year ago has sat out 2018 to support the Intrepid Canada race team but jumped at the opportunity to get back behind the wheel this weekend at Mosport. 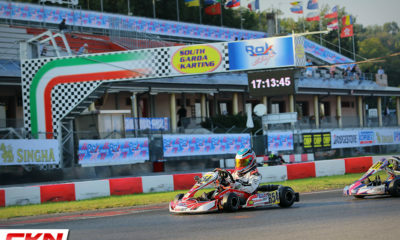 In the Rok Senior race, Marco Signoretti (Energy Kart) jumped out to an early lead, building up a nice gap with fast laps early on. Coming to the front after slipping to fifth at the start was Ryan MacDermid (BirelART) and after getting by Di Leo (Intrepid) for second on lap eight, he chased down the leader Signoretti. The lead was defended well by Signoretti through the first five corners, but MacDermid had a great run up the hill to turn six and tried to pass on the outside. As the two went wheel-to-wheel at apex Signoretti and MacDermid made contact and slid through the corner. Di Leo took advantage and grabbed the lead and Robert Soroka (Kosmic) moved by MacDermid for third. 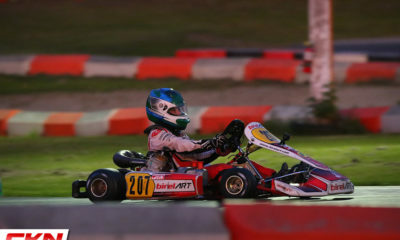 The four kart battle made its way around the bowl and towards the final chicane. 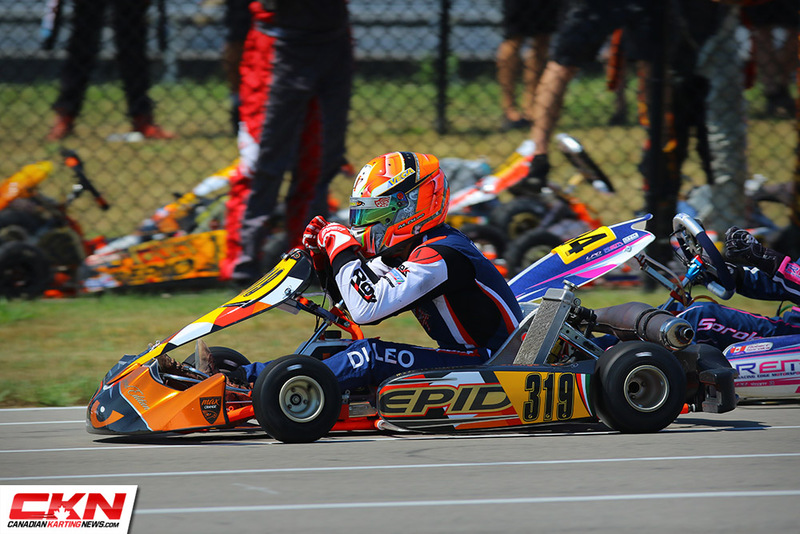 Di Leo defended well and rolled enough speed out of the final corner to hold on for the win while Soroka used a wide exit to overtake Signoretti for second in a drag race to the finish line. 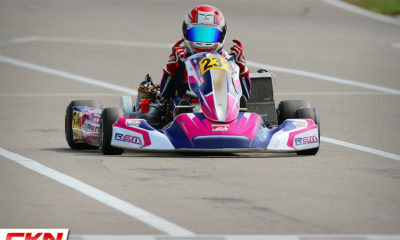 MacDermid also beat Signoretti to the finish line but lost the position after the race for a penalty earlier in the race that saw him make contact with Logan Cusson (Kosmic). Dale Curran (Kosmic) blistered off a lap time in Qualifying that was more than a half-second faster than his rivals to set the tone for the day that he was going to be tough to beat. 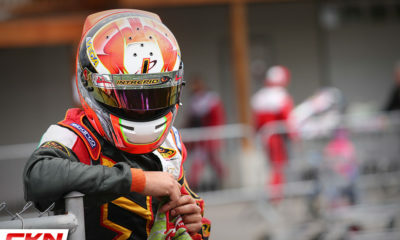 Nolan Bower (TonyKart) was Curran’s closest rival in practice but was unable to set a time in Qualifying. 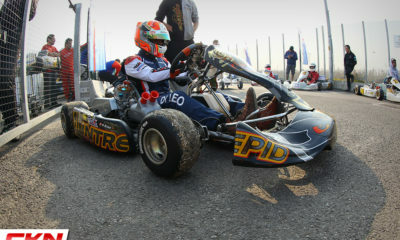 He charged forward in the Prefinal to finish an impressive second place and set up a duel for the victory in the Final. 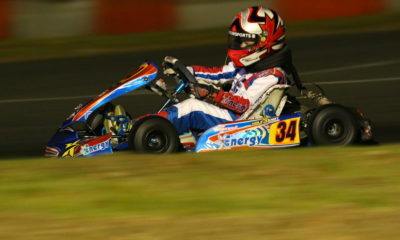 Bower’s chances took a hit on the opening lap as he fell to fourth off the start. 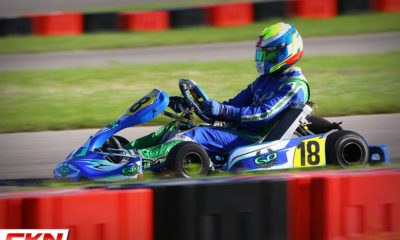 While he was able to recover to second on lap two, Curran had already pulled out a few kart lengths. 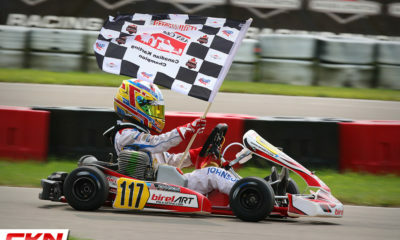 Matching lap times from lap two to the finish, Curran was untouchable en route to his second straight CRFKC win. Bower took home second place while Liam Rhodes (Exprit) was third place after overtaking his teammate Nicky Palladino (Exprit) just past halfway for the final podium position. 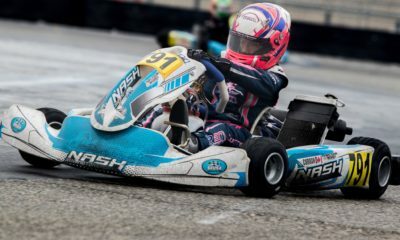 The small grid of Rok Shifters provided plenty of excitement in their Final with an unpredictable array of events that led to Zachary Shearer (GP Kart) taking the win. Dante Lerra (Intrepid) led the field from the standing start and maintained a good lead for the first half the race. That is until he had some trouble exiting the hairpin corner and wound up in the grass. 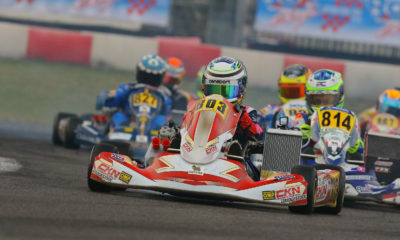 This handed the lead to Justin Luik (BirelART) with Lerra retiring from the race a lap later. Luik then came under pressure from Shearer who started the day off a little slow but saved his best for the Final. Shearer found his way by Luik for the lead with two laps to go. Coming up on lap traffic on the final lap, Shearer was able to get by cleanly, but Luik caught the slower kart right in the middle of turn one and made contact, sending him off into the tire barrier and ending his race with less than a lap remaining. 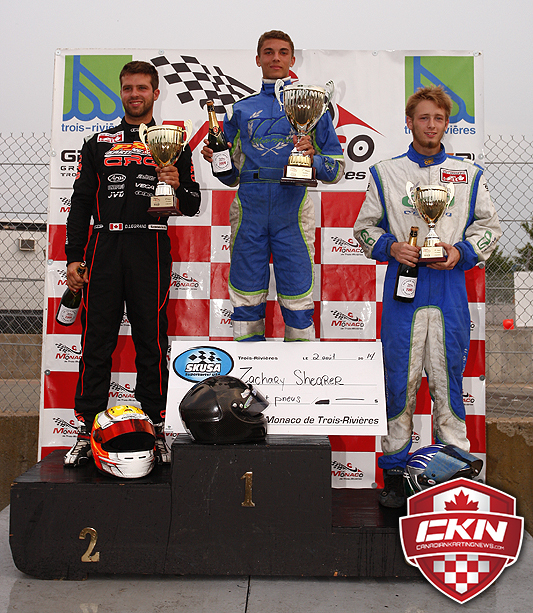 This moved Tyler McCullough (Intrepid) to second and Xigran Tang (BirelART) to third, completing the podium. 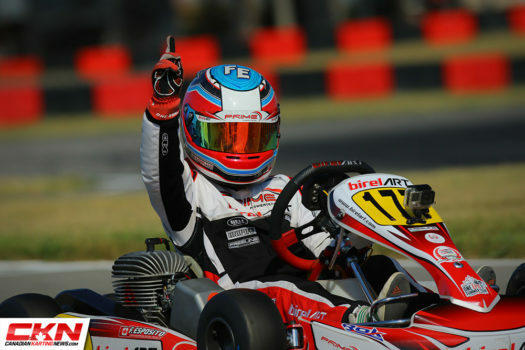 Joe Crupi (Intrepid) and Frankie Esposito (BirelART) maintained their perfect CRFKC seasons on Sunday, taking home convincing victories in Rok Masters and Mini Rok respectively. Crupi was on cruise control in his Final, pulling out to a 16-second victory over Dan Bender (Intrepid) and Alexander Mankovski (Intrepid). 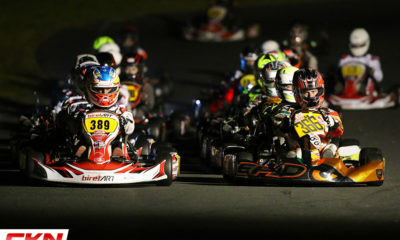 Esposito had his hands full for the first time this season, battling with Ayden Ingratta (Kart Republic) for the 12-lap pursuit. 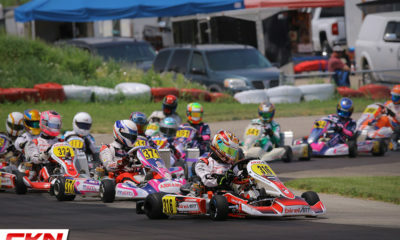 Ingratta led the first seven laps until Esposito took his turn in the lead. From there Ingratta set up a number of passes but wasn’t able to complete them and settled for second. 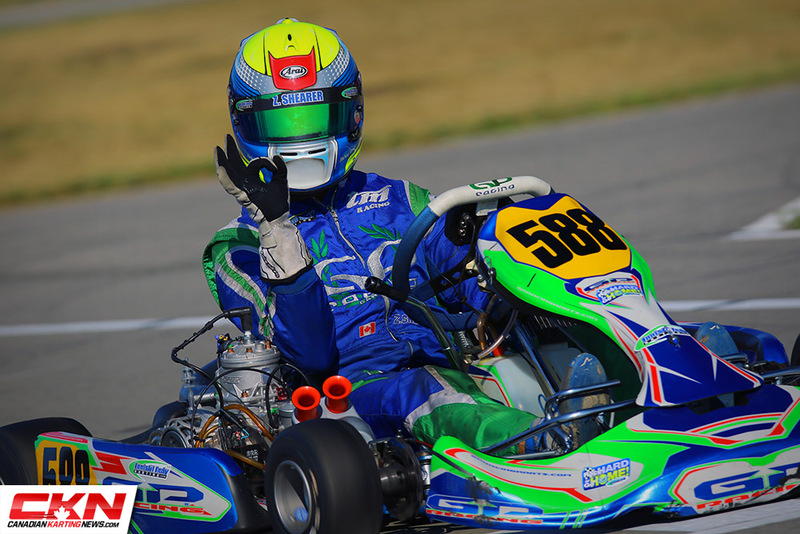 Cooper Simpson (BirelART) took a distant third. 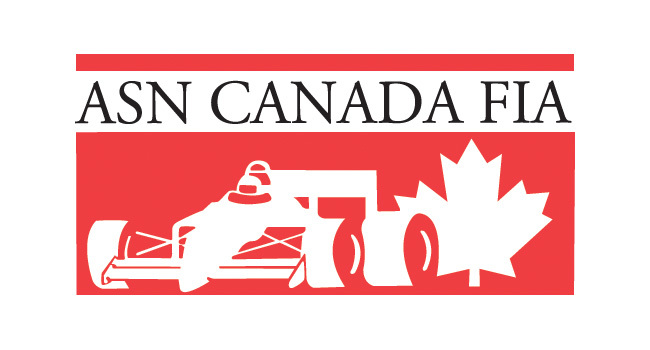 Round four of the Champion Ron Fellows Karting Challenge will take place back at Mosport Kartways on July 28.